As a video game player, I am used to running from hordes of zombies, navigating treacherous post-apocalyptic wastelands, and fleeing from one disorientating location to the next. 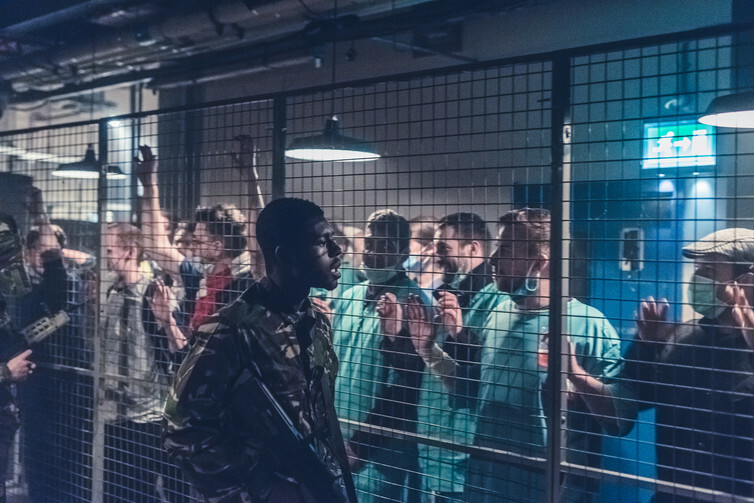 But nothing could prepare me for the experience of Secret Cinema’s latest event, based on Danny Boyle’s 28 Days Later, the film frequently credited with transforming the zombie from a moaning shuffling figure into a screaming fast-moving crazy. It’s hard to miss the renaissance in zombie culture that’s developed over the past 15 years. In graphic novels, literature, film, television, video and board games, the zombie has been spreading like a virus throughout the millennium. They’re also beginning to populate the streets. As the proliferation of zombie walks – events where large groups of people dress up as zombies and meet in a public space – attests, dressing up (cosplaying) as the walking dead is a remarkably straightforward endeavour. Anyone with a set of dishevelled clothes and some makeup can participate. Less apparent are the reasons behind the zombie’s recent resurrection and proliferation. One explanation for the zombie’s popularity is its adaptability. Zombies have proved compatible across a range of genres, including period drama, the western, the war movie, the gangster film, erotica, science fiction and fantasy, as well as horror. They can be scary, funny, sad, grotesque, even romantic. The idea of apocalypse is both terrifying and thrilling, activating deep-seated anxieties concerning the collapse of civilisation, alongside survivalist fantasies in which all the mundane niggles of daily life are suddenly put in perspective. The zombie is a brain-dead blank slate onto which can be projected a range of themes: overpopulation, international terrorism, environmental collapse, the transmission of disease, fear of otherness, disability and genetic engineering all feed the zombie mythology. Many zombie narratives keep the cause of the apocalypse oblique, allowing audiences, readers and players to sift through the possible reason why the dead are returning to life and craving brains. In 28 Days Later the monsters are infected with “rage”, a metaphor for the anger and frustration of modern life. 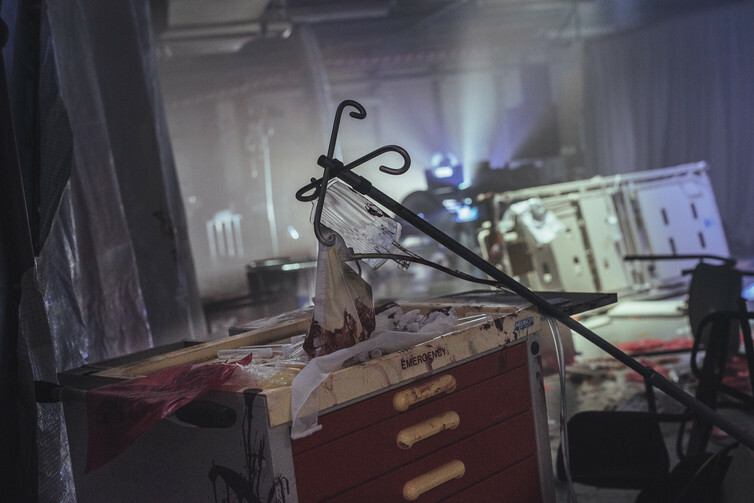 Secret Cinema’s current staging of the film puts a more contemporary spin on the narrative it tells, connecting the outbreak of the virus to reduced “NSH” funding, increasing pressure on healthcare workers, and recent protests against government cuts. 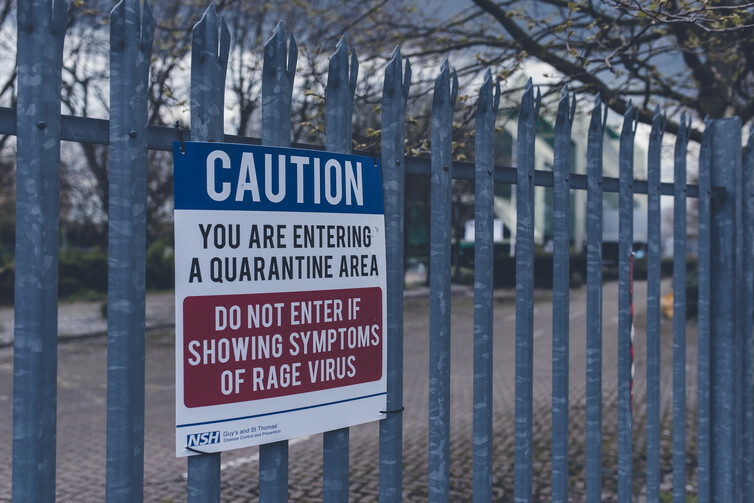 Having signed up, I received an officious email from a junior doctor, informing me that I had been selected for a vaccination programme to combat the “rage virus”. Further information included the time and date of my appointment, the location of the treatment centre, and my medical card detailing patient number, next of kin and, most ominously, “survival skill”. So began a night of horror. Visitors to this latest combination of theatre, art installation, and film screening begin their journey early in the pandemic, surrounded by doctors, military personnel and television screens describing events preceding the crisis. But beneath the bureaucratic order and control is an undercurrent of desperation and uncertainty. The façade of structure and civility soon deteriorates. As the experience progresses other commentaries emerge. Class warfare, religious zealotry, abuse of institutional power, are all thrown into the mix in a frenetic chase as participants are flung from one set piece to the next. The greatest anxiety the event appears to activate is the fear that when civilisation falls apart the military will take over. The threat of the undead appear as nothing compared to the prospect of having our lives dictated by a bunch of politically incorrect squaddies. As I scurried along, I was reminded of the many video game environments in which I have been immersed. The malfunctioning science labs of Black Mesa, the burning urban landscape of Racoon City, the surreal lakeside town of Silent Hill, the abandoned Aperture Science test centre, or the underwater dystopia of Rapture. These virtual spaces combine familiar signs of everyday life with grotesque suggestions of bodily mutilation and mutation. They speak obliquely of horrific events which have already taken place, of hapless inhabitants long dead, of battles already fought and lost. Within this kind of environmental storytelling, where narrative meaning is scratched into the architecture and sprayed across the furniture, it is the aftermath we witness, not the carnage itself. The violence is only suggested, the monster never fully shown. And the effect is all the more chilling as a consequence. Critics write in glowing terms of the way video games are becoming increasingly like movies, while decrying the ways movies are becoming increasingly like video games. This kind of immersive, interactive, intensive event shows the productive side of convergence between screen cultures, digital games, site specific art, and popular entertainment – which virtual reality should make much more common. More pressingly it suggests that, no matter how fast we move, the zombies are not going to be outrun anytime soon.